Juan Carlos Alom is a photographer and filmmaker. He graduated from the Semiotic Studio of Urban Environment at the International Institute of Journalism (1990) and from the Studio of Restoration of Photographic Images at the Cuban Photographic Library (1989), both in Havana, Cuba. 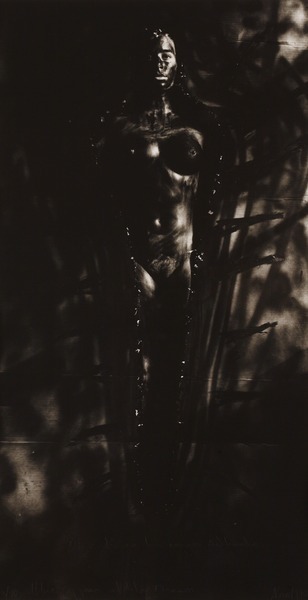 He also studied under Gerardo Suter at the Studio of Manipulated Photography at the Cuban Photographic Library (1989). His work often incorporates elements of ritual, magical realism, and Afro-Cuban religion set into tableaux that he then photographs. His videos and photographs have been shown in outstanding exhibitions such as Ritual a la Ceiba (performance, 8th Havana Biennial, Cuba); Scope (Contemporary Cuban Images Festival, Toronto, Canada); Free Roaming: a Compilation of Contemporary Artists (Museo del Barrio, New York, USA); Imaging the Spirit (with Albert Chong and Cirenaica Moreira. Boulder Museum of Contemporary Art, Boulder, Colorado, USA); The Dark Book (Schneider Gallery, Chicago, Illinois, USA / Ludwig Foundation, Havana, Cuba / Iturralde Gallery, Los Angeles, California, USA); Secret Shadow (Throckmorton Fine Art, New York, USA); The Fickle Face of Reality (Center for the Development of Visual Arts, Havana, Cuba); Marks (The Bronx Museum, New York, USA); and Cuban Mystical (Open Space, Comune de Milano, Italy). His works are part of important collections: the Ludwig Forum für Internationale Kunst, Aachen, Germany; the Cuban Photographic Library, Havana, Cuba; IF Milan, Italy; The Bronx Museum, New York, USA; the Southeast Museum of Photography, Daytona Beach, Florida, USA; Art Institute of Chicago, Illinois, USA; and the Museum of Fine Arts, Houston, Texas, USA, among others. 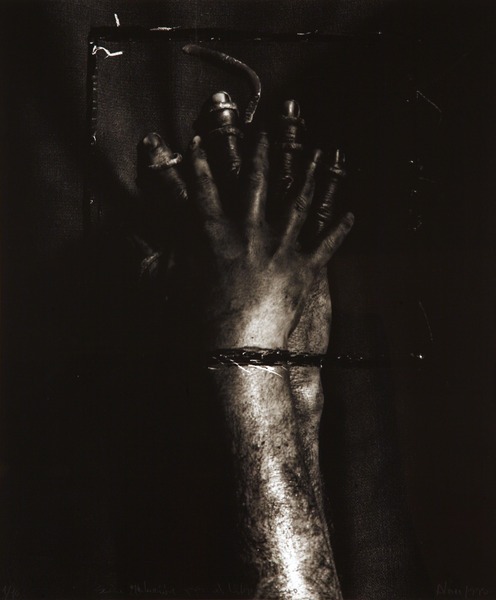 Dios está en las manos del hombre, de la serie Ablución para el Libro Oscuro (God is in the Hands of Men, from the series Ablution for the Dark Book), 1995.